Each year, Remembrance Sunday is a poignant and special occasion at the Air Museum. As veterans sadly leave us, it becomes more important than ever to take a moment to remember the sacrifices of the many Allied Air Forces in wars and conflicts throughout the world. This year, ten D-Day 1944, Normandy veterans received France’s top honour at the Remembrance Day Commemorations at the Yorkshire Air Museum on Sunday 8th November. Three events took place during the day, which was attended by over 400 people including diplomatic representatives from France, Germany, Russia, U.S.A., Netherlands, Canada, Australia and New Zealand, as well as from Britain’s Royal Air Force. On behalf of the French President, the French Consul Mr Jeremy Burton and the French Air Attaché Col. Patrice Morand presented the Legion d’Honneur during the main commemoration event at Elvington. 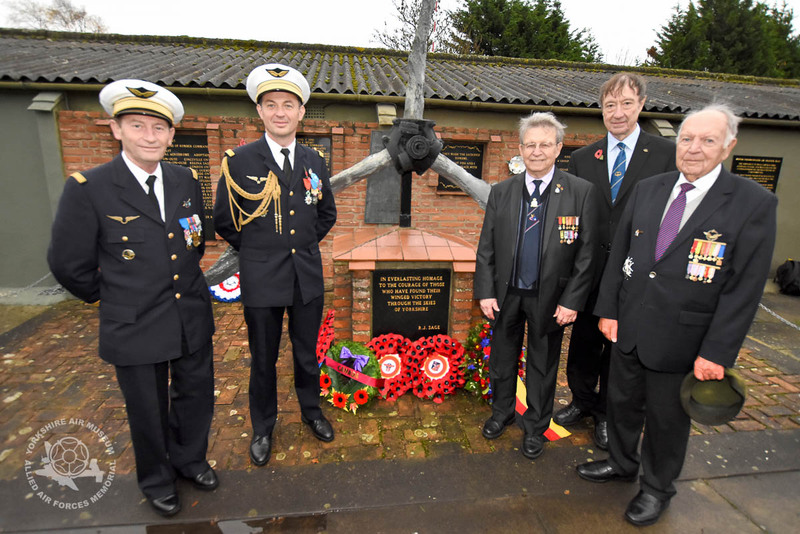 Twenty friends & family from Les Amicale des Groupes Lourds including two World War ll French Air Force veterans (M. André Hautot & M. Jean Billard) from the 346 Guyenne & 347 Tunisie squadrons formerly based at RAF Elvington were also in attendance. These images from the day show the diverse range of ages and nationalities who were proud to pay their own respects to the memory of all those who lost their lives in global conflicts.